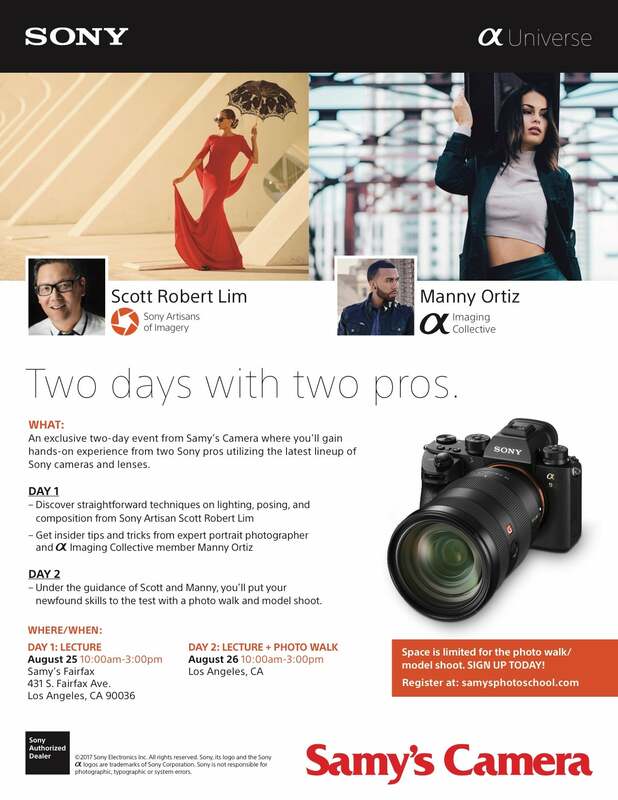 Join Samy's Camera for an exclusive two-day event where you'll gain hands-on experience from two Sony pros utilizing the latest lineup of Sony cameras and lenses. On day one, you'll discover the straightforward techniques on lighting, posting and composition from Sony Artisan Scott Robert Lim. You'll also get insider tips and tricks from expert portrait photographer and Alpha Imaging Collective member, Manny Ortiz. Day two will consist of putting your newfound skills to the test with a photo walk and model shoot under the guidance of Scott and Manny.